What does it mean to be “cool,” to be “fierce,” or to “slay”? This course focuses on technologies, techniques, performance, and style (including fashion) as components contributing to our ideas, representations, conventions, and stereotypes of race. More specifically, this course asks how cinematic and media aesthetics have contributed to how we identify and “read” blackness in popular media. Rather than treat film, television, and new media as straightforward reflections of social realities, this course will analyze how the media established, and continues to shape, our understandings of what blackness “looks” like. Blackness occupies a complicated space within the popular imaginary and popular culture. On the one hand, film and media have, since their inception, marginalized blackness in literal and figurative ways in order to reinforce the centrality and normativity of whiteness. At the same time, however, the world has obsessively consumed black performance and black style and celebrated black stars. When we talk about the “swag” of former President Barack Obama on the cover of Ebony magazine, or the glamour of Lena Horne in the 1940s, what are we seeing? When we identify Sidney Poitier’s cool film demeanor or Beyonce’s fierceness in her 2013 Super Bowl halftime show, what does this consist of? These seemingly conflicted impulses are perhaps one of the most enduring legacies of the formation of American society, originating with the capture and introduction of African slaves (and their attendant cultures and traditions), solidified in the early days of minstrel performance, and reinscribed through today’s hyper-mediated culture. Debates around cultural appropriation have often focused on the racial politics of African American stylistic and cultural traditions being coopted by whites and other non-blacks, but there has been less exploration of how certain seemingly “ineffable” traits have become associated with blackness in the first place. 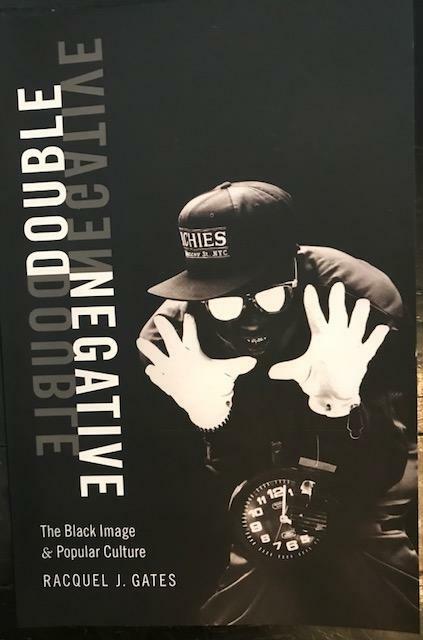 This course asks how popular culture has created the aesthetic vocabulary for how media consumers “read” blackness in all of its various incarnations. This is an ideal course for anyone in the humanities and social sciences, for those interested in traditional and new media, and for anyone looking for sophisticated, critical, and original approaches to issues of race, racism, and representation in American popular culture. In addition, the course will be using a number of active learning pedagogical techniques that will both make this a lively “workshop” of ideas to which every student will contribute and will offer anyone who is teaching, at any level, a new set of methods, activities, and ideas about active learning and the teaching of controversial, difficult, and complicated subject matter.